The Fast5 Kit is currently worth $99 and gets you a unique one-week meal plan featuring 7 specially selected breakfasts, lunches and dinners to help accelerate your weight loss in your first week on the program. You’ll also receive all-new shakes with formulations for men and women. 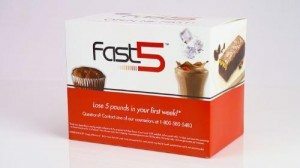 †Fast 5+ and free week of shakes with 28-Day auto-delivery, first order only. Extra $25 off applies to first and second consecutive 28-Day Auto-Delivery orders only. Free shipping (Continental U.S. only) with 28-Day Auto-Delivery orders only. – Packed with energizing B vitamins, caffeine and green tea extract, the EnergiZING™ shake is formulated to boost metabolism and provides calcium and vitamin D.
– To fight hunger, the Craving Crusher™ shake features a unique blend of filling fiber and protein, and a nourishing mix of vitamins and antioxidants for optimal well-being. It is designed to help curb common dieting pitfalls, like hitting the vending machine at work or the snack cabinet at home in the late afternoon. The Nutrisystem diet program is a great plan that helps people lose weight with ease. However, people should take a careful look at how much it might cost to get into this service. In addition, one should compare the cost of the main competitors that Nutrisystem is up against. Some companies might be more affordable but there are cases where the cost might be dramatically higher when compared to what Nutrisystem has to offer for dietary needs. First, Nutrisystem often sells its products in a series of monthly packages. These will include twenty-eight breakfast, lunch and dinner products each. It also includes fifty-six dessert and snack products. These may be adjusted based on what someone might want to get. This is a good deal that might create a 28-day price of about $300. This is going to cost around $3.50 per meal. It will be closer to $2.10 per item when the dessert and snack products are added to the mix. This is an interesting deal because it will allow anyone to enjoy different foods of interest over the course of a month. Meanwhile, it will not require the need to get into any weigh-ins or office visits just to take advantage of the program. This should be relatively easy for anyone to use. It might cost extra to get a product of use. For example, some products might cost less if it is used with a lack of customization support. For example, it costs $260 when a person goes into a program without any customization features. Also, a customer can use a Select program featuring support for the Fresh-Frozen series of meals. This is often used to give people fresh foods that might be more interesting for people to enjoy. However, it will cost $350 to get a 28-day package for this program. This is a big value that might add to the cost but may be worth it in the long run. To get a good feel for what Nutrisystem costs, it’s a good idea to compare it to other products. For example, Nutrisystem has a different cost value than that of Weight Watchers. This is because Weight Watchers uses a radically different system for weight loss needs. It costs less for people to use the Weight Watchers program than it would for them to use the traditional Nutrisystem program. This is mainly due to how Weight Watchers does not involve particular foods that need to be ordered. However, people can buy individual foods that fit in with the Weight Watchers system only if they have a desire for doing so. It may cost around $20 to get into the program and about $50 for the first month followed by $20 for each individual month after that. This is good for giving people access to the program and to get into the meetings that come with the program. There are some other companies that tend to offer different rates. An example of this is how the Jenny Craig program often charges five to ten dollars for service each week. This is based on how long the program is going to last. In addition, people who want to use the Jenny Craig diet tend to use the food products that are made by the company. These include products that have been prepared for breakfast, lunch and dinner. These products are optional unlike what comes with the Nutrisystem plan. However, it might cost at least ten dollars for people to get food in this program every day. Therefore, there is a very good chance that the Jenny Craig diet will end up costing more money than the Nutrisystem diet. It might help to also take a closer look at programs that are similar to Nutrisystem. Medifast is a good example of how this might work. However, people should take a look at how much Medifast might cost when compared to Nutrisystem. People will also buy their foods in the Medifast diet with a series of packages just like with the Nutrisystem. This will include a series of different products like shakes, bars, oatmeals and soups among many others. The cost that comes with getting into such a program will vary based on the length of the package. A four-week package from Medifast will cost $315 which equates to around $2.20 per product when the 143 servings in the package are considered. 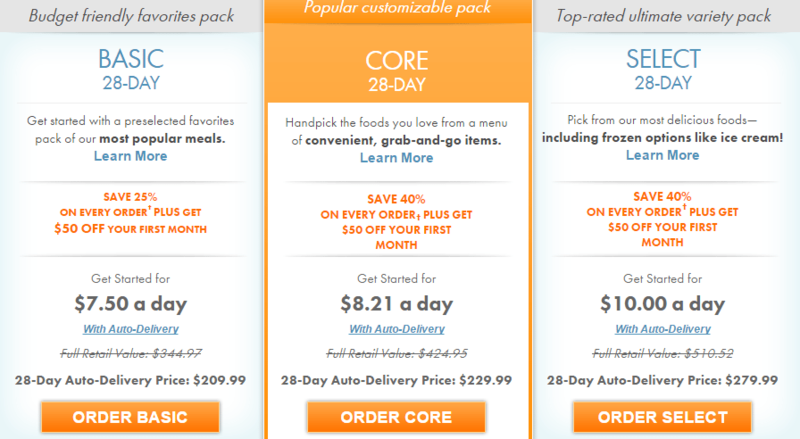 Meanwhile, a two-week package that uses seventy servings will cost $162.50. This will be close to $2.30 per serving for the program. As it can be noticed, it will cost close to the same for the Nutrisystem program as it would be for the Medifast plan. The key is for a customer to compare the foods in the two programs together to see which option might be better for someone to use based on the product of interest. It is an interesting consideration that anyone can use. People who want to lose weight need to compare the Nutrisystem program with other similar programs to get an idea of what is available. This is all required to allow anyone a better chance of seeing the cost of different products prior to purchase. Current Nutrisystem Core Plan Costs – 4.7 out of 5 based on 125 votes.